Product_ID Required Identifier that you use to identify a product in your system. All other characters, such as characters with accents or space, are not allowed. To group several part numbers in the same product, repeat the same product ID for each line of each part number. For the same product, this data must be the same in each “Products_xx” tab as it is used to group data between tabs. Product_Name Required Defines a name for the product. Maximum number of characters for each product name is 255. Product_Short_Description Optional Used to enter a short description of the product. Maximum number of characters for each short description is 255. Product_Keywords_List Optional Supplies a list of keywords that will be used by TraceParts search engine. Each keyword must be separated from the next in the list by a semi-colon. Maximum number of characters for one keyword is 30. Maximum number of characters for the complete list of keywords is 255. Note that, by default, the search engine already uses all the words in the product name and description as potential search words, so there is no need to repeat them in this list. Classification_Category_ID Required Identifier used for specifying a category in the classification. The list of authorized identifiers to use are defined in the “ClassificationAdvancedTemplate” excel file provided in the archive file when you downloaded the empty template. Only the identifier of the category you classified your product is necessary (not the full path from the root). Product_Large_Picture_FileName Optional Supplies the name of the image file showing the product. Image must be provided together with the completed XLS template. Recommended picture size is 460 x 340 pixel. Bigger picture will be resized. If not provided, TraceParts will try to extract screenshot from provided CAD file. The “Product_ID” you provided is kept in the TraceParts System. When you provide a template with “Product_ID” that doesn’t exist in the TraceParts Sytem, a new product is created in the TraceParts System. Then, if you provide a second template with “Product_ID” that already exists in the TraceParts System, the existing product is overwritten. ( + “_” + document number) Optional Specifies the file name of any document linked to the product. Maximum number of characters for each file name is 100. The authorized file types are defined here. Documents must be provided together with the completed XLS template. This information is linked to the information in the “Product_Document_Title” field below. ( + “_” + document number ) Optional but recommended for each document declared in “Product_Document_FileName” This information is linked to the information in the “Product_Document_FileName” field above. It specifies the title to be displayed next to the link to the document to the user rather than using the file name itself. Maximum number of characters for each document title is 255. Product_Document_URL ( + “_” + URL number ) Optional Specifies an URL that points to an online document linked to the product. This information is linked to the information in the “Product_Document_URL_Title” field below. Protocol (http, https,..) is required in the URL. Maximum number of characters for each URL is 2000. Product_Document_URL_Title ( + “_” + URL number ) Optional but recommended for each URL declared in “Product_Document_URL” This information is linked to the information in the “Product_Document_URL” field above. It specifies a title for the corresponding link to be displayed to the user rather than using the URL itself. Maximum number of characters for each URL title is 255. Product_Dimensional_Drawing_FileName ( + “_” + dimensional drawing number ) Optional Specifies the file name of the dimensional drawing linked to the product. This information is linked to the information in the “Product_Dimensional_Drawing_Title” field below. Files must be provided together with the completed XLS template. Product_Dimensional_Drawing_Title ( + “_” + dimensional drawing number ) Optional but recommended for each dimensional drawing declared in “Product_Dimensional_Drawing_FileName” This information is linked to the information in the “Product_Dimensional_Drawing_FileName” field above. It specifies a title for the corresponding drawing to be displayed to the user rather than using the file name itself. Maximum number of characters for each drawing title is 255. Part_Number_ID Required if you define some part numbers in “Part_Number” field Numerical value starting from 1 to N for each product in order to make part number record distinct in each product. Part_Number Required if you define a CAD model, a description or some attribute value (see customizing the template) Define the part number. One part number per line. Maximum number of characters for each part number is 255. Part_Number_CAD_FileName Optional Defines the CAD file name to be used as source 3D model. The file must be provided together with the completed XLS template. Part_Number_Description Required if you define some part numbers in “Part_Number” field Defines the description of the part number. Maximum number of characters for each description is 255. When you want to group several part numbers in the same product, any data related to “Product” fields and “Document” fields must be duplicated with the same values for each part number line. 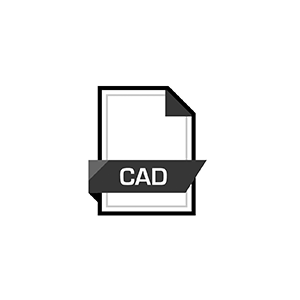 List of CAD File Types which are allowed as input CAD Type in Self-Publishing. This tab contains information for customizing the template. See the section “Customizing the template” for more details. Remember that the items in this list are treated as the identifiers of the attributes. All other characters, such as accented characters or spaces, are prohibited. This information is not visible to the user; it is used by the system to manage your data. This name is displayed to the user. If the values of your attribute are expressed in a specific unit, we recommend that you add the unit symbol at the end of the label. This tab contains information required by the programs that will be processing your data. It contains the answers to certain questions asked by the wizard. Specifies a “system” attribute used by the programs that will be processing the template file. See the list of system attributes. Value of a system attribute. Product_Document_Number Number of document selected by the user in the wizard (macro). Product_URL_Number Number of online document selected by the user in the wizard (macro). Product_Dimensional_Drawing_Number Number of dimensional drawing selected by the user in the wizard (macro). Default_Language_Code Code of the default language selected by the user in the wizard (macro). Selected_Language_Code Code of the language selected by the user in the wizard (macro). There may be one or more lines. Each line contains a single language code. Sample of parts file with English as selected language.